We are especially excited to provide comprehensive services in Paulsboro NJ, a Gloucester County borough with a popular of about 6,000 people. Interestingly, your community was named after the son of an innovative settler named Samuel Phillip Paul. It’s also home of Fort Billingsport, the country’s first land purchase. We provide homeowners in Paulsboro NJ with quality roofing, siding, replacement windows, doors, and gutters as part of our overall home improvement services. Homecraft® Inc. was built on a foundation of 30 years of experience, as we continually take great pride in offering affordable, high-quality home improvement services highlighted by top-notch customer care, servicing neighborhoods in Delaware, Maryland, New Jersey, and Pennsylvania. 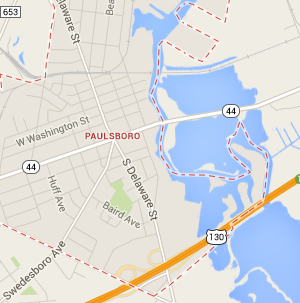 Let us improve your home in Paulsboro today, with the following services. Done with throwing money out the window – literally? Invest in money-saving, energy-efficient replacement windows for the ultimate in beauty. Our vinyl replacement windows by Homecraft® or wood replacement windows by Andersen® will give your home a whole new look. The doors on your home should provide an open welcome for family and visitors alike. For new doors in Paulsboro NJ your best choice is Homecraft® Inc. We can design a brand new entryway with a rugged, durable entry door; replace a balky old patio door with a smooth-operating new sliding door; add a weather-resistant storm door to protect your home; or even replacing your rickety old garage door with a beautiful new automatic door. It’s no wonder we are among the leading door companies in Paulsboro NJ! Look to Homecraft to present you with the biggest selection of materials, textures, styles and colors when it comes to siding for your Paulsboro home. Extend your home’s life and experience a beautiful transformation with our cedar shake or vinyl siding. It can be tough knowing who to trust when it comes to roofers, but you can rest easy with us because we are GAF MasterElite™ roofing contractors, an honor that we are very proud of. This means you receive our Golden Pledge™ warranty protection that ensures your strong, dependable roofing system from Homecraft® Inc. will last the test of time. Gutters have an important job to do: they must ensure water can easily get off your roof without damaging the home or ground below and without becoming clogged by leaves and debris. Our gutter systems provide you with peace of mind through all the seasons, working in conjunction with your roof in Paulsboro. Adding value to your property doesn’t take much – a simple home improvement, renovation or addition will do it. We do it all: kitchens, garages, décor updates. It’s time that you got the home of your dreams! FREE Estimates on Paulsboro NJ Home Improvement, Windows, Doors, Siding or Roofing. Call Homecraft®, Inc., today at 1-877-494-0377 to schedule a FREE in-home consultation and estimate for your Paulsboro NJ home improvement project, roofing, siding, replacement windows, doors, or gutters.